October 20, 2018 6:42 pm. Sircconi has made up for an unlucky defeat at his previous start to win the Moonga Stakes. A week after retiring from training, Peter Morgan was in the winners’ circle to welcome back Sircconi after his win at Caulfield. 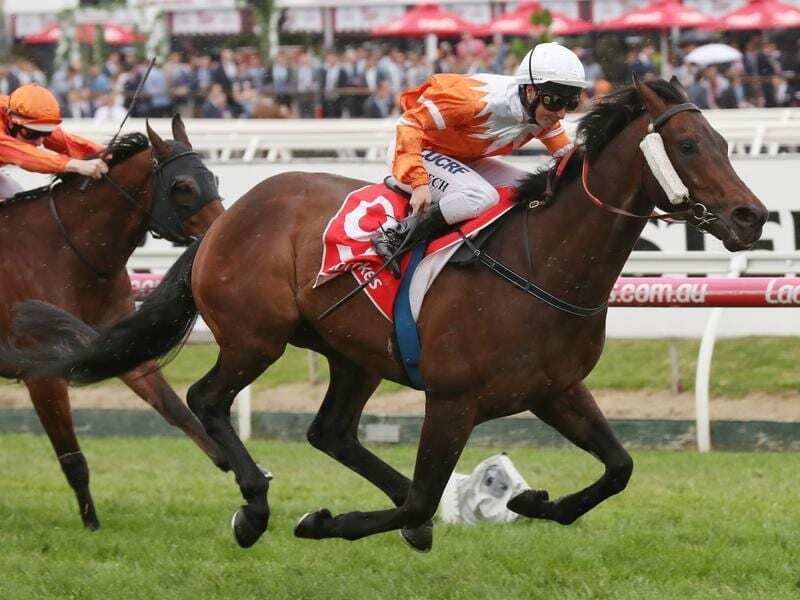 Sircconi was Morgan’s last official runner when an unlucky third at Caulfield last week but there were no hard luck stories in Saturday’s Group Three Moonga Stakes. The gelding remained at Caulfield after last week’s run, joining the stables of John Sadler. Ridden by Linda Meech, Sircconi was backed from $12 into $7.50 before scoring a 1-3/4 length win over Dreamforce ($6) with Perast ($9.50) a half-length away third. Morgan has made the trip from Whittlesea to Caulfield during the week to help Sadler prepare Sircconi for Saturday’s race. “He’s a new horse in John’s stable and I just wanted to dot the ‘I’s’ and cross the ‘t’s’ so I’ve come down and given them a hand each morning,” Morgan said. As Sircconi was Sadler’s only runner at Saturday’s meeting, Morgan said he told the trainer to stay home following a late night at Pakenham on Friday.